Unlike humans, insects have external skeletons (exoskeletons). One of the advantages this offers is that internal organs are well protected from injury and damage. 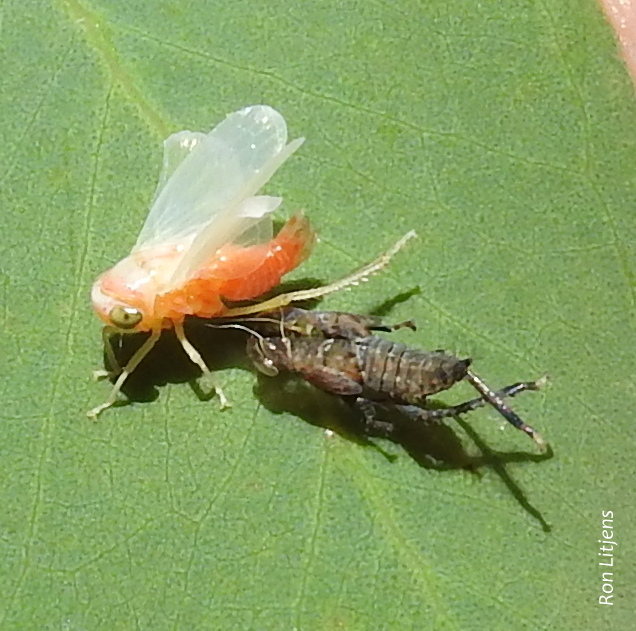 However the downside is that for those insects that do not go through a caterpillar/cocoon stage, that is, they mature as a series of nymphs (or instars), they periodically need to moult their external skeleton and grow a bigger one. These insects include true bugs (hemiptera), grasshoppers, dragonflies and cockroaches (see photos). Spring and summer are when most insects hatch and grow. It is common at this time of the year to see the discarded insect skeletons hanging around, like abandoned onesies. The process of shedding the skin is called ecdysis. Seeing ecdysis in action though is not so common. One needs to look carefully through the vegetation. 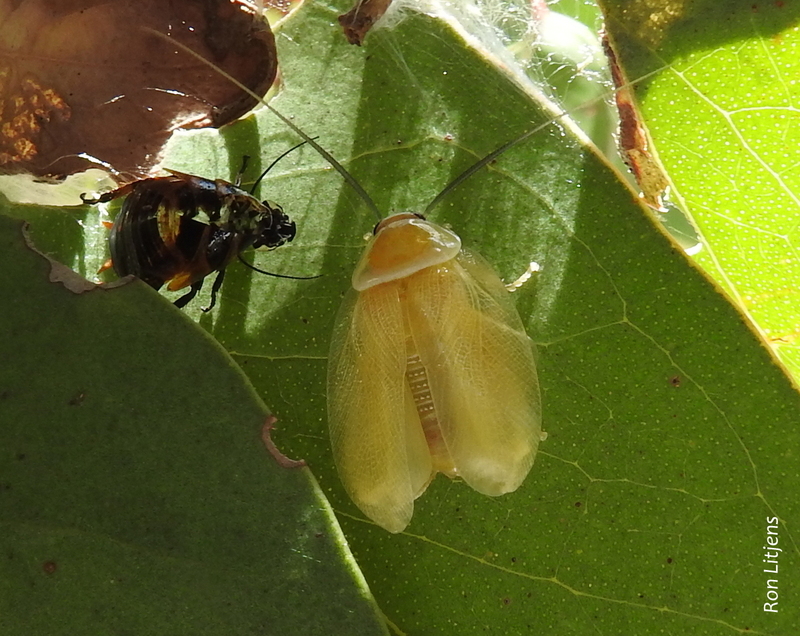 During ecdysis the emerging insect does not breathe. During this time it is most vulnerable to attack as it is pale in colour (i.e. not camouflaged) and the exoskeleton is soft. After shedding the old shell, the insect pumps itself up to maximum size using air and bodily fluids whilst the new shell hardens, after which it relaxes giving itself room to grow. The shell develops its colours on exposure to sunlight. When you see the insect next to its discarded onesie you can only wonder how it fitted in the shell in the first place. It’s strange because my West Coast Eagles onesie looks too big whether I am wearing it or not.